Software giant Microsoft appears to be taking the move towards wearable computers more seriously. Tami Reller, executive vice president of marketing told X-Bit Labs that Microsoft is working to make sure that Windows could work on tiny form factors like watches and other ultra-small wearable computers. She said it was a "high priority" of the Windows development effort is to make sure that Windows is right-sized for those devices. A year ago, there was a rumour that Microsoft had initiated work on its own smartwatch although nothing emerged from the labs at the time. However it does look like the company is also working on software for ultra-small gadgets. Although hypothetically it should be possible to tailor Metro interface for small displays, all versions of windows are too big for such small devices. 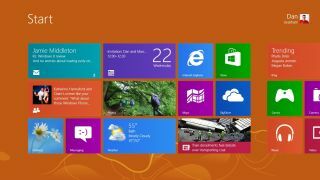 Reller said that Microsoft had more things coming just around the corner and a micro version of Windows is a certainty. "We will make a material movement forward on just the footprint of the OS and what that can mean for how we run on smaller devices," she said. Developing smaller versions of Windows makes sense for Redmond as it tries to find a life beyond the PC. If these dinky gadgets take off, then they are going to need apps and Microsoft will be hoping that it can use its operating system.